This well maintained unit features recent updates including flooring and paint. A washer and dryer are located conveniently in suite. 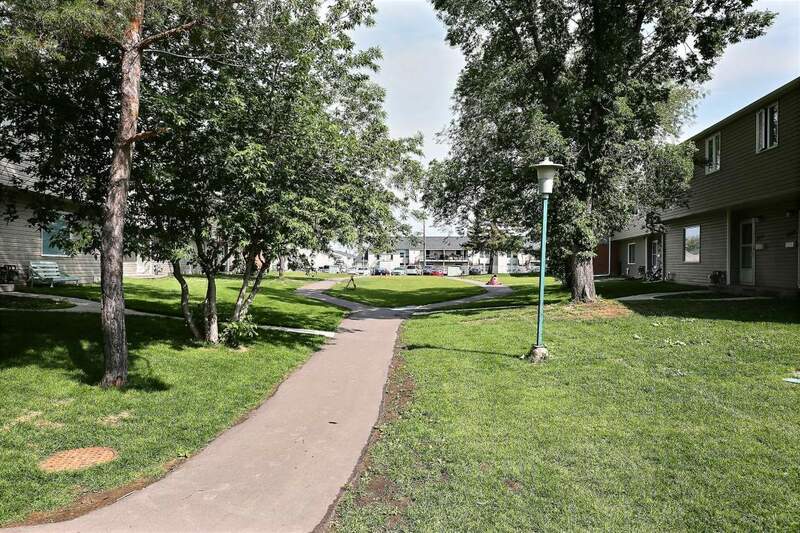 Students, families or anyone looking for a quiet and well maintained place to call home will love Wascana Townhomes. The complex is located on a spacious 4.5 acre property in Regina's Whitmore Park district surrounded by schools, parks, and shopping. The university is only 5 minutes away. This family friendly property boasts spacious and well maintained yard spaces with mature trees. The complex has undergone upgrades including new roofs and vinyl siding. Off street parking in a well-lit surface lot is available for most units. The standard unit at Wascana Townhomes has three bedrooms, one and a half bathrooms, in-suite laundry, and a full basement. Massey Elementary School (offering French immersion) is a mere 2 minute drive or a 15 minute walk for families with young students attending Kindergarten up to Grade 8, . Dr. Martin Leboldus High School and Campbell Collegiate High School are both located within a 5 minute car ride for those attending Grades 9 to 12. University of Regina students and staff rejoice! It is only a short 5 minute drive or bike ride from the complex to the University. The surrounding community also features several parks including the Elsie Dorsey Park located right across the street. This park is home to a public playground, a baseball diamond, and features an outdoor rink in the winter. When you want to cool down you can head to the Massey Outdoor Pool for a dip or to the Murray Balfour Arena for some indoor skating year round. The pool and arena are located only minutes away by car or 15 minutes by foot. Grocery Shopping is a breeze with Superstore, Save on Foods, Shopper's Drugmart and Sobeys all located within a 10 minute drive on Albert Street. Don't feel like cooking? Grab a bite to eat at one of the many restaurants also located on Albert Street. Freshii, A&W, Subway are just some of the quick options or sit down for a meal with friends at The Keg, Greko's Restaurant, Tony Roma's and many more. If you are heading downtown for work or play, getting there is a breeze! With Wascana Townhome's easy access to the Wascana Parkway, you'll be there in 15 minutes. Wascana Townhomes is a great place to live. Give us a call today to find out how you can become a Resident!